It had been a week since a disastrous trip to Thursley Common, where for the second visit in a row I got caught out by storm-force winds and torrential rain while stuck in the middle of nowhere. My protection from the elements was a lone pine tree behind which I spent two-thirds of my afternoon trying in vain not to get soaked down to the skin. I made a third attempt on Saturday, and at finally it paid off. 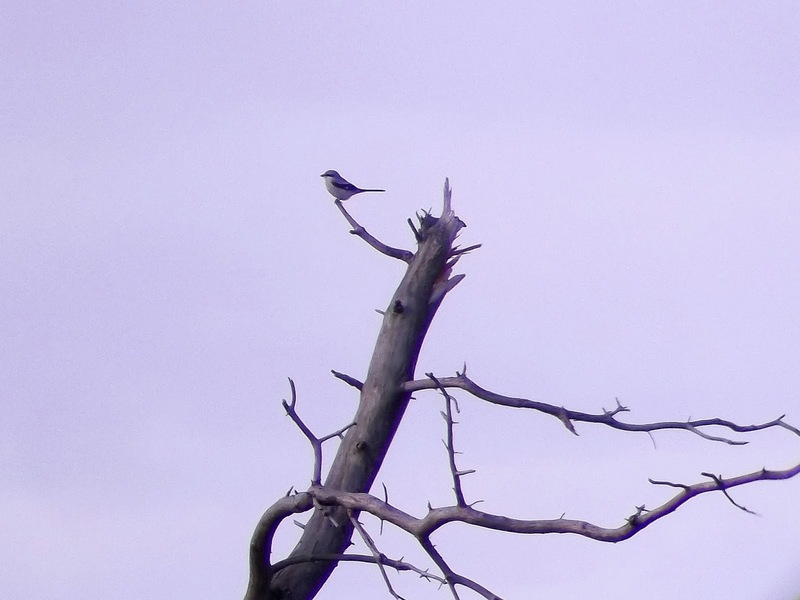 The Great Grey Shrike had been lying low for the past couple of weeks, probably due to the weather, but it had made an appearance on Friday and was seen again during Saturday morning. 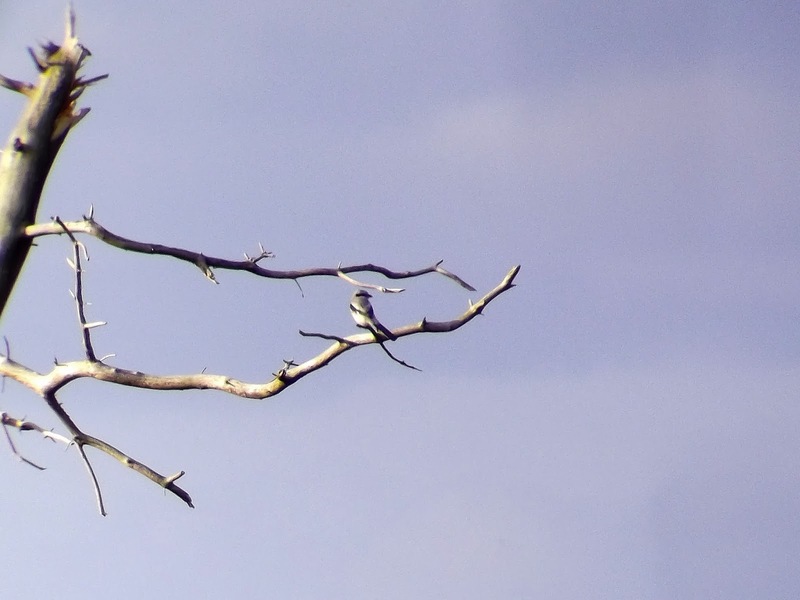 With a similar bird at Papercourt Meadows also proving to be elusive, I was beginning to think seeing a Great Grey Shrike in Surrey this winter may not happen. But as it turned out I locked on to it very quickly, admittedly with the help of a nice couple called Phil and Sherry Penteck from Kingston, who were watching it from the footpath at the northern end of Shrike Hill. Phil, I discovered, is originally for Keighley in Yorkshire, and he proved how small a world it is. I found myself talking to a birder I had just met on Thursley Common about Frankie Wainman, a man I know well. He's a stock car driver who lives up the road from Keighley in Silsden. I'm a big stock car fan, and I discovered that both Phil and I used to watch him in action during the 70s and 80s at tracks like Belle Vue and Bradford's Odsal stadium. This bombshell was of no consequence to the Great Grey Shrike, who was showing well on and off for some time, although extremely mobile, feeding while the weather was good. There are differing views as to whether this Shrike is the same bird returning to Thursley each year or first winter birds who find Thursley perfect habitat for their feeding needs. Personally, the former theory fits better. We have other wintering species returning each year to similar spots – the Firecrests at Banstead Golf Course being a case in point, but I'm more than likely to be wrong. It would be fascinating to track a Shrike to see where it goes each winter. 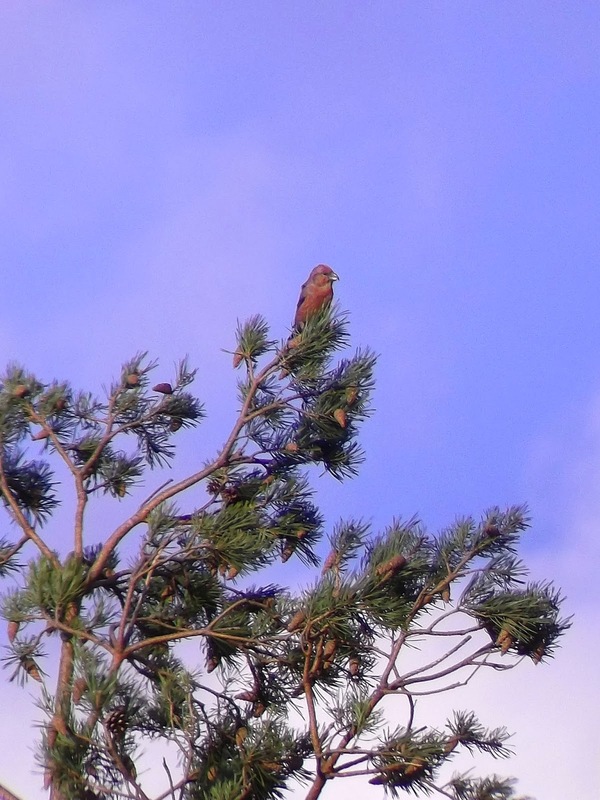 I was relieved it had turned out to be a successful visit, which also included a Woodlark and a pair of Crossbill feeding in the pines to the south of Shrike Hill. On the way home I popped in at a very boggy Papercourt Meadows as the sun was going down, to see a Barn Owl hunting in the half light. Considering how crap the weather has been in recent weeks – and how little time I get out in the field – it had been a decent afternoon. 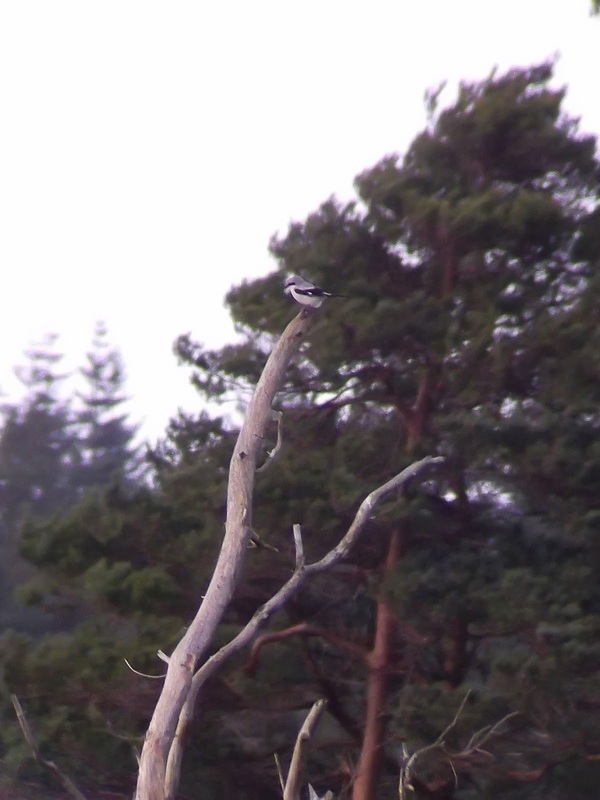 great shots of the Shrike Neil, glad your time wasn't wasted again. Lovely place but can be a lonely void at times!